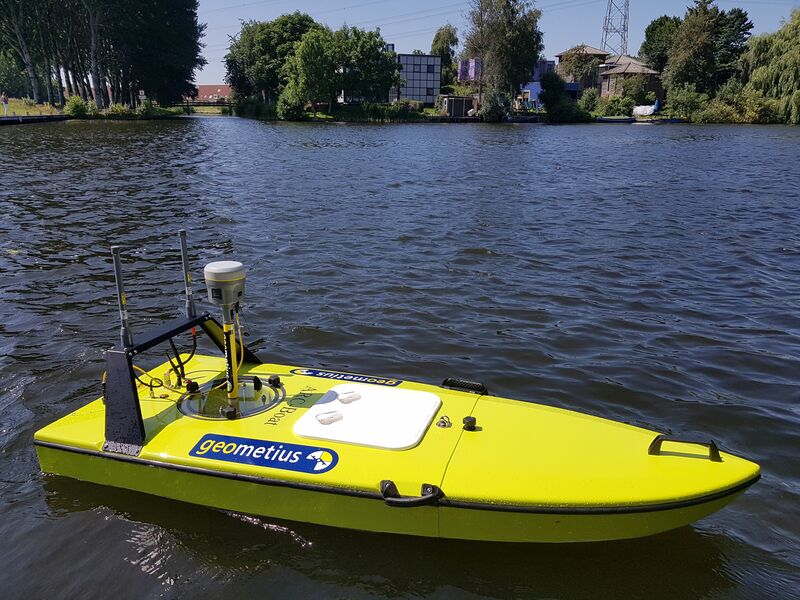 Dynautics Ltd, the leader in intelligent marine electronics for unmanned boats, commissioned and launched a new E-Boat electronics package in conjunction with a Geometius survey boat in Amsterdam. The Geometius survey vessel was fitted with a Trimble R10 RTK GNSS Receiver and a CEESCOPE LT dual frequency echo sounder. Dynautics recently launched E-Boat package offers a low-cost solution to automating the navigation of small electrically powered boats such as the ARC boat used by Geometius.